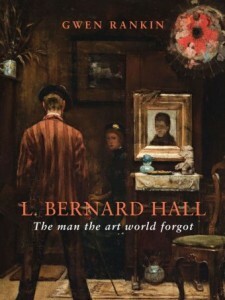 This marvellous new biography of Bernard Hall, published in association with the State Library of Victoria, is a long overdue re-examination of the life and influence of one of the most important art administrators and teachers in Australia in the first decades of the 20th century. 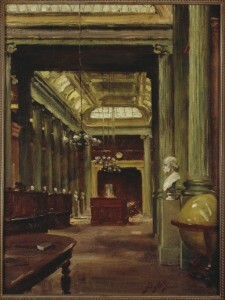 Director of the National Gallery of Victoria at an incredibly important time from 1892 to 1935, Hall has long been dogged by the terrible accusation of artistic conservatism, both in his shaping of the collection as well as his own art. Gwen Rankin here does us all a great service by returning to primary sources to reveal a much fuller, and fairer, picture of a man whose influence was far more positive than he is sometimes given credit for, and whose art dares to be rather beautiful in that annoyingly traditional way! 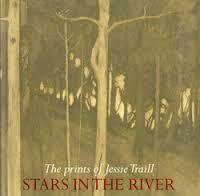 Australia has a strong tradition of very fine printmakers, and the name of Jessie Traill stands pretty tall within that tradition. Born in Brighton in 1881, she studied under Bernard Hall and Frederick McCubbin at the National Gallery School and is credited as being one of the first women to practice etching in Australia. Looking through this catalogue to an exhibition held at the National Gallery in Canberra, one can only stand in awe at the exquisite beauty and power of her vision and artistry. Lovely! 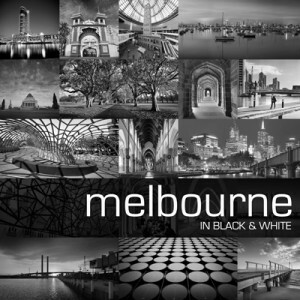 Contemporary Melbourne celebrated in black and white by a group of very fine photographers who clearly know and love the old place. Black and white is perfect for those laneways of ours, late at night. 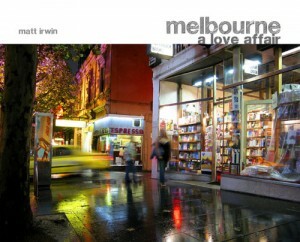 Photographer Matt Irwin has been capturing Melbourne and Victoria on film since 1985, and his beautiful work manages to both represent and transform even those landmarks and views we have all grown all too familiar with. It’s always a pleasure to be surprised by something you thought held no more surprises!